I have written and re-written a version of this post half a dozen times. And I still can't quite get it right. But the gist is that I used to be friends with a girl I will refer to as Z. And now we are not friends. She views us as in a fight. I do not. I never thought we were fighting. I thought her behavior made it clear she didn't want to be friends with me and I used that as my graceful exit from the stage. I fully agreed that it was time for us to part ways. Our relationship, from my perspective, was never very healthy. Most of the time if felt one way and toxic. But she was going through a terrible season in life and really didn't have another source of support. I could never in good conscious walk away from someone in that situation. I hope that others might do the same for me if roles were reversed. Let me be clear, that we did get along and have fun together. Just like any relationship, be it with a friend, boyfriend, family member or co-worker, not every moment was bad and dramatic. We had some great times together. Sometimes it just takes a speck of drama though to realize it's not the right relationship for you. I was on egg-shells at all times. She was always scolding me for not being available enough, not calling her back soon enough, having too many meetings, etc. She told me I needed to make a resolution to be better at calling her back. I started every other conversation apologizing for not calling enough. Even though I completely dislike talking on the phone- it is my least favorite way to communicate with most people. She asked me to participate in things that made me uncomfortable and when I did it all, even that wasn't enough and correct. I tried my best to be a supportive friend but it was just never good enough, regardless of how many times we spoke on the phone each week. I was never what she needed from a friend. We also have completely different personalities. She is extremely outgoing. I have never met anyone at any age who can make friends as quickly as Z. That quality about her just amazes me. While I can hold my own in a meeting and have no issues with public speaking, I tend to be fairly reserved at the core. I really struggle as an adult to make new friends. Z is very comfortably outspoken. I am forever worried I am going to say the wrong thing in life and as a result, hold back too much. Z is very dramatic and expressive. When someone upsets her, even in the smallest and unintentional way, she will full force let them know via text, email and sometimes phone and then call me to tell me all about it in every detail. She is always fighting with someone. Usually multiple people. Did anyone see the Betty Brodrick movie on Lifetime last weekend? I only watched about half of it, but the spinning, dramatic and sometimes irrational personality completely reminded me of Z. I internalize everything and hate confrontation. I hate even hearing about others having confrontations. I stopped watching RHanycity because it felt like one big fight fest. I just want everyone to get along or fake it 'til you make it. While Z makes friends with great ease, she also cuts people out of her life on a pretty regular basis. I refer to friends of 10 years as new friends. I keep my circle small but strong and for a lifetime. I mean, it took me a long time to make those friends! As far as personality, there is no right or wrong. No one is good or bad, better or worse. We are who we are. But we are in fact very, very different. Our approach to life is polar opposite. And this started weighing heavily on me a long while back. I started to feel ashamed by some of my behaviors and conversations with Z. She asked me to be a source of input in a way that made me sick to my stomach. But the worst part is that in many ways I went along with it. She didn't make me- I agreed. I felt incredibly uncomfortable by her behaviors too. For my taste, she just takes things too far and feels revenge is more important than anything else. For a long time I explained it away as just her method of coping with a really miserable season of life. But over the last year it has become clear that she has shown me a truthful version of herself all along. I was the one who didn't listen. Maya Angelou says that when people tell you who they are, believe them. Z's behaviors had nothing to do with a life season. Those are just her routine behaviors. As much as Z wanted me to be different, I wanted the same in the other direction. I do not want to make Z out to be a horrible person. She is not. But I was not happy with who I was in our friendship. I was frequently crossing my own proverbial line. So when something completely ridiculous came up out of the blue and my attempt to explain that we are different people with different approaches in life failed, I took that as my cue to walk away. I don't like drama and I didn't want to fight. The situation was so unexpected but in a way, I knew the day would eventually come. I knew our friendship would end due to me not being a good enough puppet. With her sending a nasty text over a non-issue. I just wanted it all to be over and to allow both of us to walk away unharmed. I took great care to journey back via the high road. I left it with nice things said (on my end) and well-wishes. I said nothing I regret and for that I feel grateful. I am not engaging in the argument. I have agreed to disagree and just quickly moved on. I never fought. I realized it was over, said my peace, and that was that. This is getting much longer than I anticipated but I do want to note a few lessons that I am taking away from this break-up. I have had a tough few months, personally. I am more determined than ever to learn from my many mistakes. When you know better, you do better, right? * My inner voice is the most important voice. It's my conscious and God and life lessons and the good angel and ideal morals and goals and more, all rolled into one. When I don't listen, things never turn out well. * I take full responsibility for this situation. Not because of the dumb thing she accused me of. But because I agreed to do all sorts of things and have all sorts of conversations and keep all sorts of enormous secrets that weren't exactly ethical. Or not by my own personal standards. I had knowledge of a variety of things that I consider to be way outside of my comfort zone. I tried to encourage my reasoning to Z, but the bottom line is that we are just so different and never agreed on how to best handle matters. * You really do catch more flies with honey than vinegar. This was our biggest difference. And in my opinion, the reason she ended our friendship. But I maintain that I am right. Being nice and polite and kind is always the better way to go about life. Or it is for me, anyway. * A relationship should never involve long term egg shell walking. * I am not comfortable in a relationship that involves me feeling guilty about activities outside of that relationship. I allowed myself to feel this way for so long and I am ashamed that I never successfully did anything to change things. * Your friends are, in part, a reflection of yourself. If you don't like what you see, do something to change it. * Not all friends are meant to last more than a season. Z and I had a nice friendship. But it was no longer working for either one of us. And so we parted ways. I will remember our fun times fondly and hold no ill will. I do hope our paths cross again. 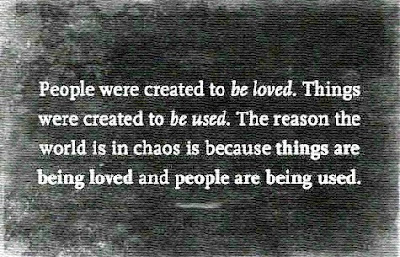 But for now, we get to focus on other aspects of our lives. * Doing the right thing is not always the easy thing. Or the popular thing. Or the well-understood thing. But none of that matters if you know it is the right thing. And with that, I close the chapter on Z. I told her that I was sad she ended our friendship but accepted it and will always have big buckets of love in my heart for her and her sweet daughter. I meant every word. I absolutely wish her every happiness and joy that the world has to offer. 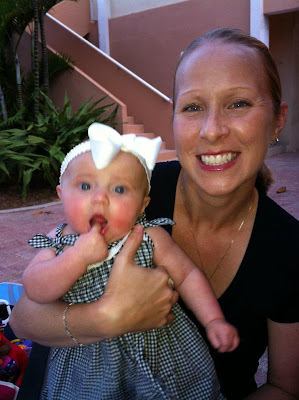 She has a completely fantastic little girl to focus on and I know they will both do amazing things in their future. But this summer, I am re-focusing on me. I've earned it. I owe it to myself. I'm less nervous and more excited about my life than I have been in years. Onward and upward. I can't wait! Today is a super sad day. You, one of my very favorite bloggers, are closing up shop. For what I hope is just a spell and not forever. But for a while at least, I won't have my darling friend down in Texas to dazzle me with fun dinner parties, cute outfits, glittery crafts and exciting world travels. Pity party of one here in North Pole, NY. Cheers to you, sweet Hopsy! You have touched so many lives in your 4.5 years of blogging. Sending lots of love and well-wishes your way as you focus on other exciting aspects of your life. 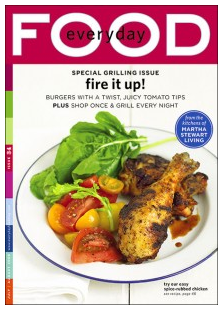 Another Free Magazine Subscription. Everyday Food. This is currently my favorite magazine to read. Love love it! They go quickly but I hope a few of y'all will be able to take advantage of this great free year-long subscription to Everyday Food today. Woo hoo for fun freebies! You are never going to believe this. So Katie was in the vet's office waiting room and spotted an article in Reader's Digest on spa water. That mentions my blog and one of my recipes! I had no idea. But I'm tickled pink that she found it and was kind enough to send me a photo. Hello that is a good bloggy friend! So no worries, peaches. We can all still be besties even with my new found (though never notified and thank goodness Barkley is alright from her major incident but had to be rushed to the vet and Katie and her hub were bored and spied this tiny mention in the magazine) fame! A free year's subscription to Martha Stewart Living is available again! Hurry if you missed it last time. There is a great recipe in the latest issue of Everyday Food for gluten free brownies (p.65). Normally, I use a box mix. Even before I ate GF, I used a box. I mean, I think the box mixes are really good for brownies (not cookies...just to be clear I do NOT use a mix for cookies...why that is my line is the sand I have no idea but it just is). My mother always made them from scratch though. So anyway, this recipe is nearly as fast is using a box mix. I bet it only takes 60 extra seconds to make this vs a box. They are gluten free but I swear you would never know that if I didn't tell you otherwise. And sooo yummy. As always, I have to change at least one thing. I added about 1/4 of the chocolate chips called (I used 1/4 bag and the recipe calls for a full bag) for because I didn't think I would want that many. I was right. And I always always add a teaspoon of instant coffee to my brownies. 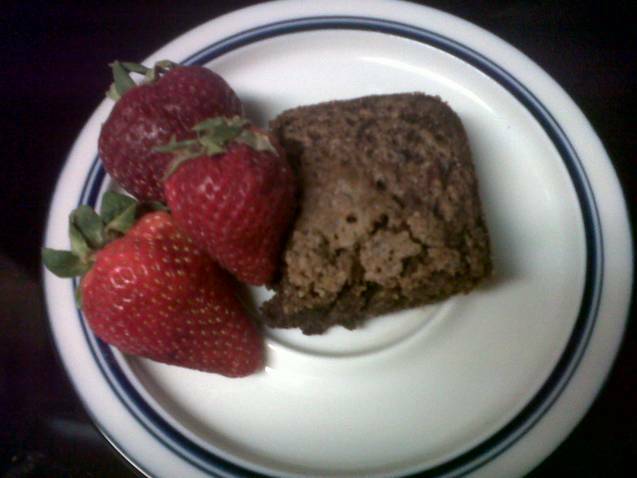 It does magic good things in a pan of brownies. It does NOT make them taste like coffee and you don't know it's in there. But it really brings out the chocolate flavor like nobody's business. The recipe is how I made them but the above notes are the only two differences between the magazine recipe and mine. * Preheat oven to 350. Grease 8" square brownie pan as you see fit. Martha says to use parchment paper and butter and cornstarch, but you know I am far too lazy for the Martha method. I just Pam that puppy up and call it a day like a normal person. * In a large bowl, whisk together cornstarch, cinnamon, sugar and salt. * In a microwave safe bowl, melt butter. Add cocoa powder and mix until well blended. * Add butter/cocoa mix to dry ingredients and mix together with a spatula. Add eggs, vanilla, chocolate chips, nuts and instant coffee. Mix well. * Pour batter into greased 8" square brownie pan. Bake for 35 minutes. 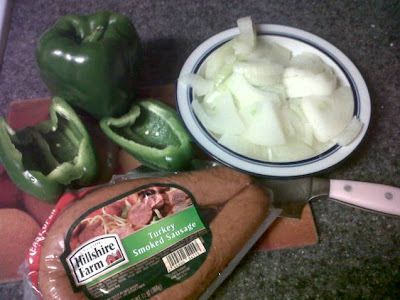 Over on my other blog I am doing a little personal challenge this week to make meals based in large part on the sales going on at my local grocery store. I thought it might be fun to put a few of the recipes up on this blog too. I can report that ths Chicken Mojo is ah-maz-ing. The idea comes from my best girl Florida. She uses this yummy mojo sauce on everything and with good reason. 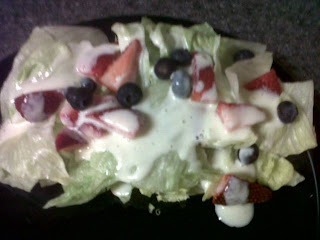 It's delish! Just note that I cooked extra chicken knowing I would use it later in the week. You can certainly skip that step if you don't want extra chicken. 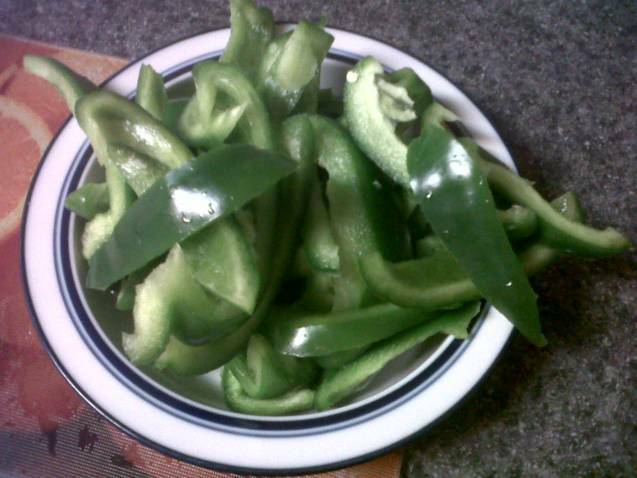 However, I must tell you that it is awesome to cook once and have extra to use later. A big time (and often budget) saver! 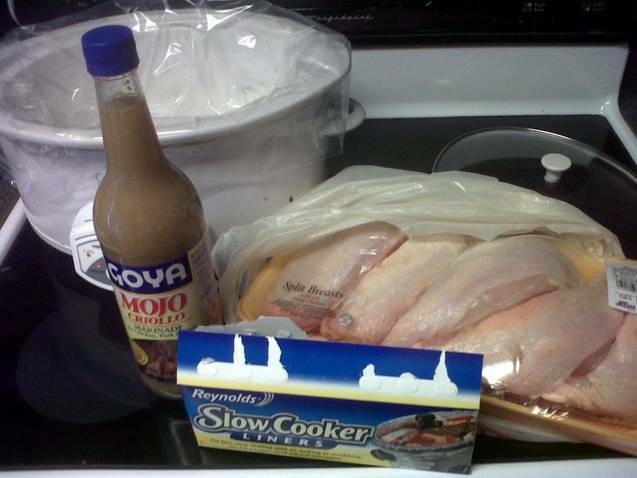 * Place all five chicken breasts in a crockpot and top with the Mojo liquid. Cover and cook on high 4 hours or low all day. * Once cooked, shred two breasts for Chicken Mojo. 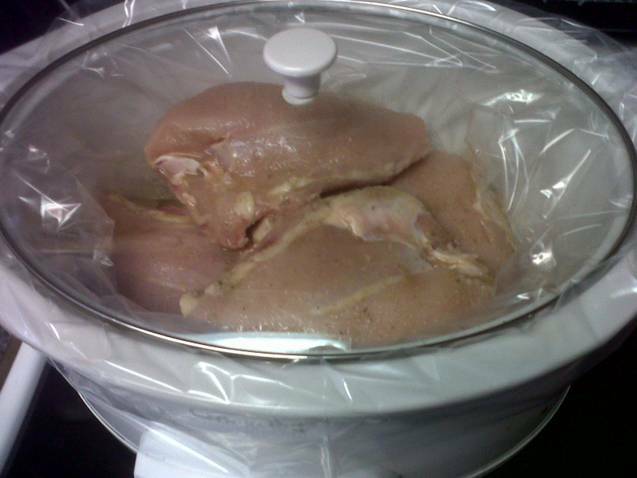 * Shred three extra breasts and place in storage containers for use later this week. This is my first tip this week to streamline your time. Cook once and enjoy many times! You can freeze the chicken at this point too if you don't have a planned use for it. * Steam veggies to your liking. I made broccoli and just steamed them with a tsp of butter in the microwave for about five minutes. * Microwave black beans for about one minute. 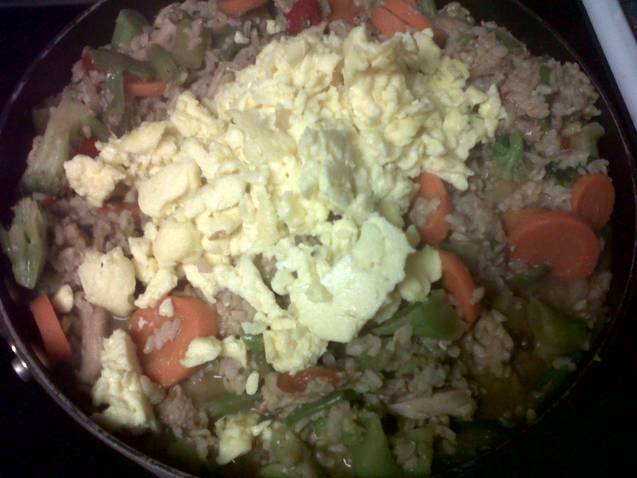 * On a place, place 1/2 cup cooked rice (I prefer brown rice) on bottom. 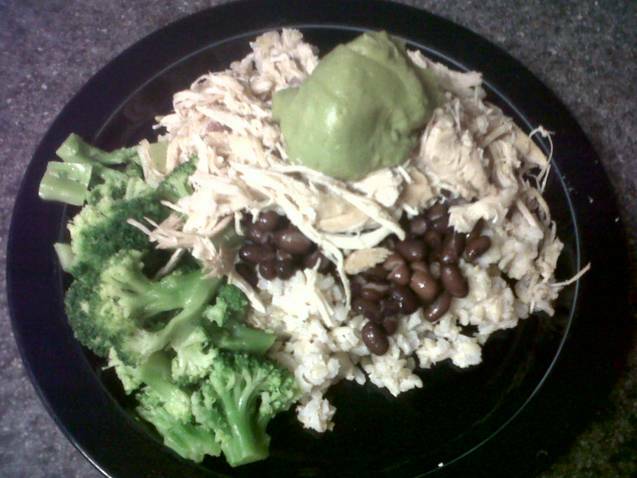 Add black beans, chicken, veggies, a splash of the Mojo sauce from the crockpot and guacamole (or sour cream). * Enjoy! This is very filling, crazy yummy and completely gluten free. I was laughing because I was complimented over and over and over again with this meal. And yet...it's so easy peasy! Don't forget that we now have a head start on our meals for the rest of the week. What shall we cook up next? Once again, sorry for the excess of blog posts today. 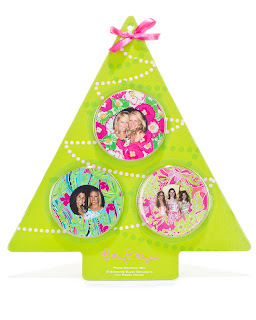 But I know a few of y'all will want to snag this fun freebie too. A year's subscription to OK Magazine (such a guilty pleasure)! You will need to take a short, silly survey first about mascara. But start to finish it takes no more than five minutes. Hurry though...these things run out quickly. This is going to prove to be an obnoxious multi-post day. However I know in the past many of y'all have loved snagging this little fun freebie from Target. A cute bag filled with samples and coupons. It's available again. So hurry on over to request your free Target Beauty Bag! I am so sorry that I forgot to post the winner of the Rodan + Fields giveaway last night. But I did pick a winner the fair and square way using the fabulous Random Number Generator (remember when I used to hand write every name on paper and pick one from the bowl...the generator is a big improvement). Without further ado...congratulations Lily Lemontree! Shoot me an emailing to tell me which prize you prefer and your mailing address, and I will get that info to Jacqueline. For those who didn't win this great prize, don't you worry your pretty little heads! I have another fun giveaway or two in the works, so stay tuned this summer. And if you are interested in learning more about Rodan + Fields, even if you just have a quick question, please get in touch with sweet Jacqueline. She's nothing short of fantastic! I've written and re-written a post explaining my friend break-up several times. And I still can't figure out how to tell my story without writing a rambling, revealing novel. So until I figure that one out...and I will because I do think it's important to at least in a small way share this story...we are going to look at some garden pretties. 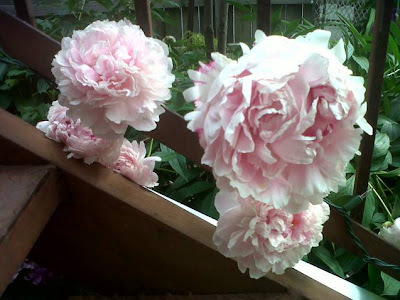 I am waiting with baited breath for the peonies, my absolute favorite, to bloom this week too. But the iris are just stunning around here lately. My favorite! 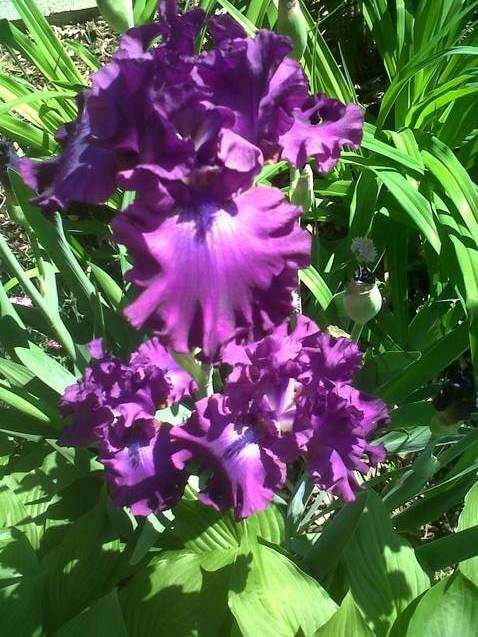 In person, they are a stunning deep, royal purple. 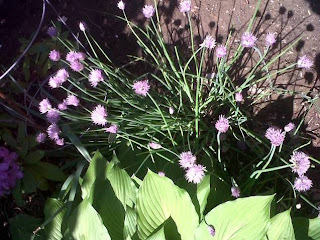 Even my chives and scallions are pretty. 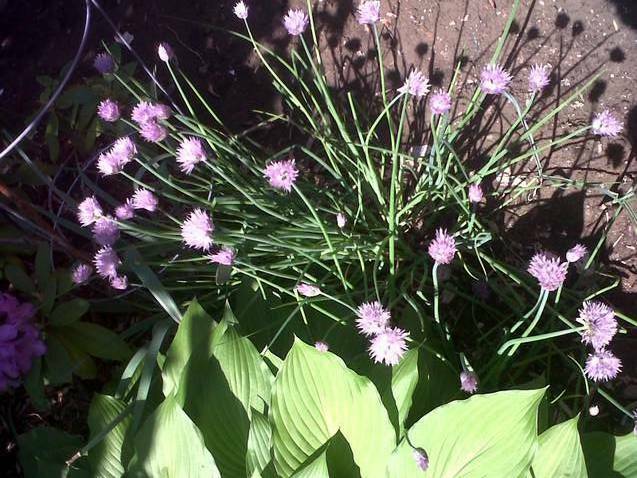 Below are scallions that were free. I post this every summer but if you are looking to try growing something, scallions (green onions) are the very easiest things possible. So when you pick up a little bundle at the grocery store (usually in a bundle of 5-6), save the root bottoms. Many sites tell you to put them in water but I have never once done that. I just bury then in soil. Any soil. As long as it gets a good amount of sun. In a very short period of time, you will find yourself with new onions. Rinse, wash and repeat forever and ever. Some of the roots in this bunch go back five years. It is quite possibly the most low to no maintenance thing you can grow. And they over-winter beautifully. Truly the veggie that keeps on giving. I plan to make vinegar with the blossoms this week. I literally stopped to smell the roses, among other things, this weekend. And it was exactly what I needed. Oh how I dream of one day having a yard big enough to grow more than a few tomato plants! Until that day though, I'm a lucky girl to have a little collection of beautiful flowers and veggies growing in my tiny city space. Jacqueline and Josie, the happiest baby I have ever met. So I thought it would be fun to ask my friend Jacqueline, our favorite Rodan + Fields consultant, a few questions about her relationship with the brand. You have a little more than 24 hours still to enter the great giveaway. So don't delay. A little background from my end. I honestly consider Jacqueline to be more of a cousin than anything else. I've known her since she was born. Her parents bought her childhood home from my parents. Then when we moved back to Florida, we moved right across the street. And next door to my bestie Florida, Jacqueline's actual cousin. We celebrated birthdays, holidays and then some together. And then of course, our completely awesome years doing Indian Princesses. We go back to the womb, baby! She rocks! * How did you first learn about Rodan + Fields? I had been using Proactiv for five years and wanted a change in my skincare routine. My acne had cleared, BUT I still had a lot of skin issues that needed to be addressed after my pregnancy. My friend invited me to a Rodan+Fields event where she told me about the products. I bought a skincare regimen and instantly saw results in my skin after the first use. Since then, I have been adding different products to my daily skincare regimen. * Why did you decide to sell Rodan + Fields? Rodan+Fields is a growing name in anti-age and was developed by the creators of Proactiv. As a stay at home mom I was looking for something to add a little extra income to our household and I fell in LOVE with the Rodan+Fields skincare products. I tell everybody I know about the products, because the products work and I believe in them personally. I was disappointed that I hadn't used or heard about the products sooner, so I decided to sell Rodan+Fields to improve peoples confidence in their skin and in their lives! * What are your top two favorite products that you personally use from the line? I use the BLEMISH skincare regimen in the morning and the ANTI-AGE regimen in the evening combined with the AMP MD system. In addition to the skincare regimens, I use the Multi-Function eye cream, renewing lip serum, body moisturizer, and ANTI-AGE hand treatment. My two favorite products are the Mineral Peptide Powder and the AMP MD system. The powder is light weight and covers evenly. It is amazing and doesn't feel like I am wearing any makeup! The AMP MD system uses the micro-needle roller with a capsule of antioxidants and peptides that creates the softest skin texture. It is easy to use and you see immediate results. I love all the products, but those are my two favorite right now. * Outside of representing Rodan + Fields, what are your favorite things to do? 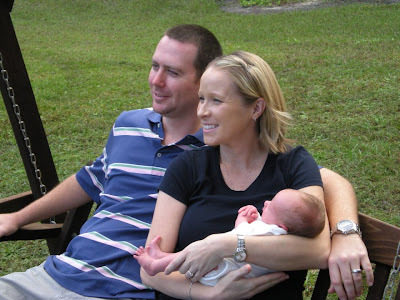 I enjoy spending time with my husband and 6 month old daughter, baking (any and all dishes), cake/cupcake decorating, reading, and running (especially after all the sweets I make)! * Because we both profess to love it, what is your favorite recipe you found on Pinterest? After discovering Pinterest I no longer use cookbooks, so all of my recipes come from Pinterest. My favorite Pinterest recipe is chocolate chip salted caramel cookie bars. They are delicious and I love the combination of sweet and salty! I have had a lot going on lately. And while this has not been my worst personal season, it most certainly has been the worst season I have experienced in many, many years. And the worst season that is due almost to entirely non-family sources. I have not been in a good place. Some parts I cannot talk about. Some parts I will not talk about. And some parts I will do my best to find the words to talk about next week. I have let a lot of things cross my line. 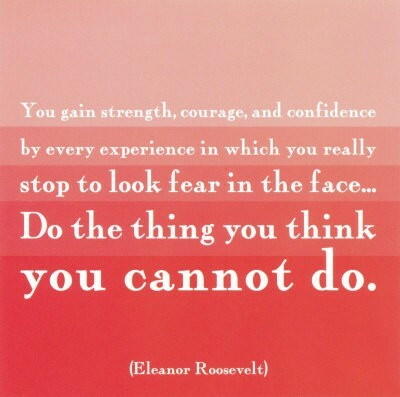 I've known that situations are out of the comfort zone of what I consider to be inside of and outside of my line. And I've ignored my own good judgement as to not rock proverbial boats. But it's all backfiring on me. So...I have a plan. Or a plan for a plan really. I WILL work out said finalized but flexible to change plan this weekend. And report back on some of it next week. My plan is to get back to me just being me. That includes everything from physical to emotional to spiritual to hair color and more. Yes...I think hair color is as important as my emotional well-being. Don't judge. Just support me. Or not. It's a blog. I honestly do not have many expectations at this point. But I am trimming the proverbial fat (How many times can I over-use a word today?) in my life. Tip to tail. Because quite frankly, I am doing a crappy job of pleasing anyone in my life right now. So I am going to fix things at the core before I can in good faith branch out to anyone else. And I am totally going to have fun along the way. I need to laugh a heck of a lot more in the next three months to make up for the tears of the last three months. I'm going to be busy. But I am going to get my life back on track. And my head and heart back in tact. My cup is empty. Not a drop left. I am normally the girl who's cup runneth over. I'm tapped out. It's time to fill it up again (Anyone else always sing it like an Indigo Girl? No? Just me? Oh well.). It's time to set and accomplish new (and old) goals. This, my sweet peaches, is going to be the summer of ME. 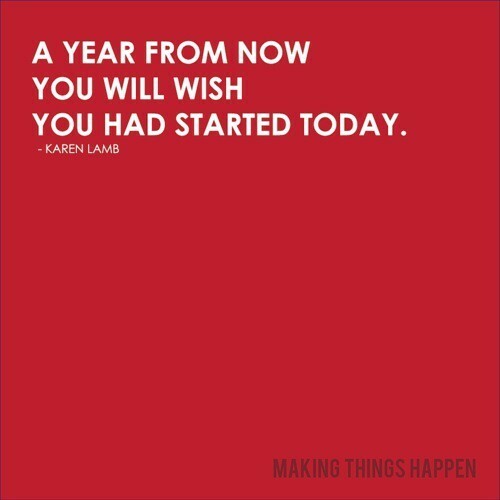 So tell me...is anyone else anxious to re-focus and set some goals this summer? 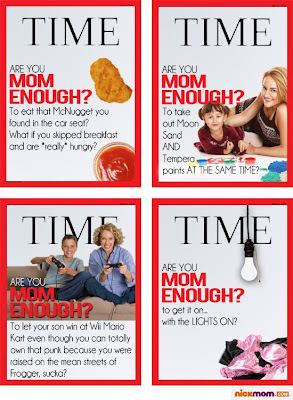 I'm not a mom, but I am so over that Time cover of the mom breastfeeding her three year old. It's not (I assume...again...bitter party of one who isn't a mom reporting here) my thing but it's probably (maybe) not going to scar the kid for life. I do love this image that was floating around Facebook this week though. 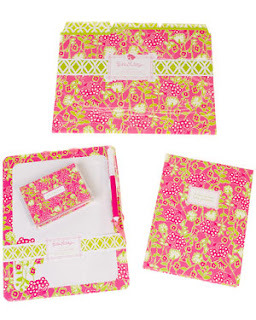 **Don't forget to enter my Spring Giveaway! Win a treat to pamper your skin this spring/summer! 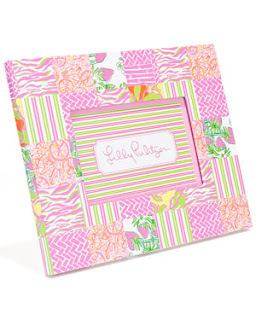 I just realized that Lilly accessories are on sale right now at Ruelala. All sorts of fun treats like placemats, umbrellas, decorations, lunch bags, laptop bags, phone cases and more. Lots of sweet gift items! Never one to miss a Lilly sale myself, I just had to quickly pop on here to let y'all know too. I have some very sad news. Brace yourself. I am down to my last jar of homemade salsa!! 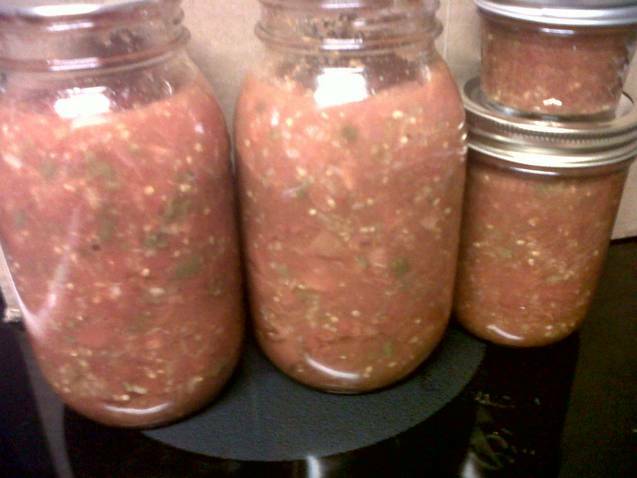 One of the best things I did last fall was to can my own salsa. It was totally on a whim too. I had this Jack and the Bean Stalk tomato super plant that grew to be about five feet wide and 12 feet tall. Not. Even. Kidding. And do you think I even once thought to photograph it? Totally did not. But trust me, it was behemoth. And produced the sweetest, most delicious, softball sized tomatoes for months. Before the first freeze, I brought in all of my decent sized green tomatoes. I just set them on sunny window sills and they slowly ripen. Doing this can give me up to two more months of fresh, home grown tomatoes. But the problem (if you want to call too many yummy t'maters a problem) is that I often have arm-fulls ripe at the same time. So last year, my solution was salsa. Now I've been making salsa for years. But this was the first time I canned it. I have been eating salsa and sharing salsa and bringing salsa to parties for nine months. I eat salsa on everything from chips, to eggs to baked potatoes. But I am down to one lonely jar. That will never get me through the next three months. Store bought just isn't the same. So this fall I will (hopefully) make double this amount. Staring at my last jar, I thought about how much it cost me to make my own salsa last year. And it stopped me in my tracks. Want to know what I spent? I consider the tomatoes free because I grew them. And I would have paid for the plant even if it died. And trust me, some do die. 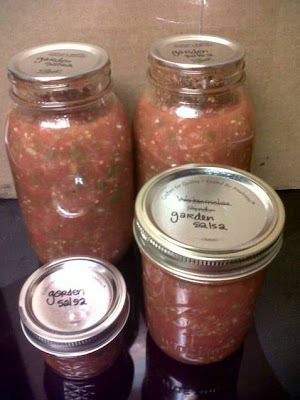 The price for all of the tomatoes (regular, non organic, even though mine would technically be considered organic) I used to make the salsa in the grocery store would easily be in the $50-100 range and have half the flavor at best. I made a LOT of salsa. And the jars were free because mason jars can be re-used for a lifetime. I've had these for years. I might need to buy more this year though. So to review, I made a ridiculous amount of salsa. I never took count or took a photo. But in total, it cost me $6 and my time. 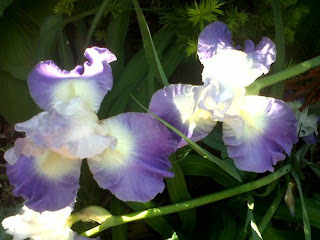 Did I inspire anyone to grow something this year? **Also...don't forget to enter my Spring Giveaway! You can win a great treat to pamper yourself this season! 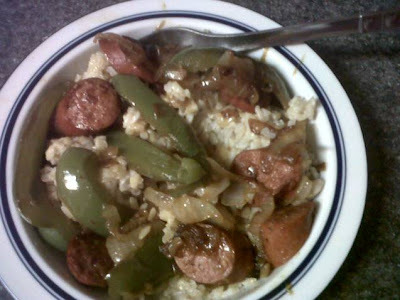 * I've decided that I need to recreate this dish I saw Guy eating on Food Network last night. Buttermilk pancakes layers with pulled pork, BBQ sauce, topped with butter and served with Jack Daniel's infused maple syrup. I do not even have words to describe my craving for this dish. I am fairly certain it would be nirvana on a plate. * I've decided that y'all are crazy if you have not yet entered my Spring Giveaway! It's easy peasy lemon squeezy to enter and you get to pick from two completely awesome prizes. You don't even need to have a blog or follow my blog. So stop being silly...go forth and enter! * I've decided that Smash was the best show of this season. I'm completely sad I have to wait four months to see the next episode. Does Ivy swallow the pills? Does the annoying little assistant turn into a full on Days of Our Lives demon character? Does the audience clap for Karen? Does Karen forgive Dev and better yet does she take him back (for the record...I wouldn't)? This show really is the secret love child of Broadway and Soap Opera. It's delicious! * I've decided that this is going to be a tough summer for my fur baby. She's ten and while I tell her she's my baby about 400 times each day, the vet tells me she is considered old. I am nauseous just typing that. I get so offended when on a walk and someone asks me her age (common dog walk talk) and they comment that she is an old girl. I literally want to hit them. She does not do well in heat and humidity and gets to the point of not being able to walk well. As happy as I am to see summer warmth and sunshine, it makes me gasp a little to see how slow she walks and her low energy levels. Part of me actually misses winter as she acts about five years younger on a cold, dry day. * I've decided that I am going to be better at taking little day trip adventures this summer. I am so centrally located to so many fun areas. But I just don't take advantage of my proximity as much as I should. This summer, I'm vowing to explore my region more. * I've decided that Tervis Tumblers are worth every penny. I bought my first one last summer (I know, I'm like the last person on Earth) with my girls when we were in the Butler bookstore and have added two more to my collection since then. I want a few more. They are all I will use these day. I've never had a cup, including Tervis knock-offs, that keep drinks as cold for as long. Love! * I've decided that age has helped me take things less personally. This is not to say I don't still take nearly everything personally- ha. But I am getting better and better when it comes to compartmentalizing situations. Why is someone reacting that way? Are they they really hating me or blaming me because I'm an easy target? If it's me, I own up to it and fix it. If I am the punching bag, I can honestly say I am doing a much better job of letting go. For me, this is big. * I've decided that I love coloring my own hair. I can't believe I just said that! But it is so stinkin easy and never costs me more than a few bucks. Sometimes I can get color for free, depending on sales and coupons. But best of all is the freedom to color when I have time. Sometimes in the morning, sometimes at night. It takes less than 30 minutes start to finish if you include a shower. And I do, because I always take a shower afterwards. It takes me 80 minutes just to drive one way to my hairdresser. I will still go to her of course. But less often. It's just not practical when I am so happy with my at home results. Everyone has heard of Proactive, right? I'm guessing nearly everyone has used it to some degree of success. Well the creators of Proactive have a new company, Rodan + Fields! And this company is receiving glowing reviews from my friends. So my sweet childhood girlfriend/practically my cousin, Jacqueline, is a consultant for Rodan + Fields. And she has offered my blog readers an opportunity to try products for FREE. Want to know the details? Of course you do! One winner will be chosen and will get to chose between the following two prizes. That's right, not only will you win but you get to pick your own prize! And the timing is just perfect as spring finally rolled into (my) town this past weekend. Give yourself the gift of great skin this spring! Protect your hands with Rodan + Fields Anti-Age Hand Treatment regimen or instantly improve your skin tone and texture with Mineral Peptides SPF 20 power. Mineral Peptides SPF 20 powder with brush provides sun protection while evening skin tone and reducing redness. 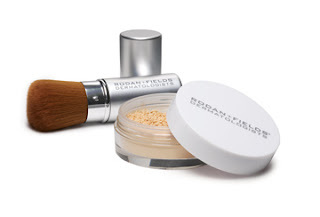 This product delivers healthy, clear, foundation-free skin. Available in light, medium and bronze shades. 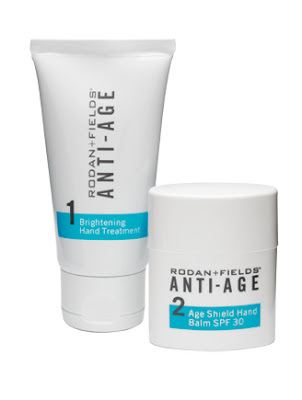 The ANTI-AGE hand treatment regimen protects and defends against brown spots, wrinkles, and dry skin. It visibly brightens and evens skin tone, restores moisture to improve elasticity, and reduces the appearance of wrinkles. The regimen includes the ANTI-AGE Hand Brightening Treatment and Age Shield Hand Balm SPF 30. MUST leave SEPARATE comments for EACH entry. Separate, separate, separate. Please! It's a pain to keep track of on my end otherwise. * Required: To earn ONE entry, visit the Rodan + Fields website and look around. Find a product that you are interested in and come back here. Tell me the name of the product and why it interests you in a comment. * Optional: To earn TWO additional entries, visit the Rodan + Fields website and click on the Customize Your Routine box. Start the Solution tool, answer the questions and enter your email address. Then come back here and in a separate comment tell me you did as much. * Optional: To earn TWO additional entries, tweet about about this giveaway with a direct link back to this giveaway post on my blog. Then come back here and in a separate comment, tell me you did as much and leave me a direct link. * Optional: To earn FIVE additional entries, do a blog post on your blog about this giveaway with a link back to this giveaway post on my blog. Then come back here and in a separate comment, tell me you did as much and leave me a direct link. So in review, there is only one required entry. And you don't even need a blog to enter! But with all the additional entries, you can earn up to 10 chances at winning your choice of the above products from Rodan + Fields. All entries must be left in separate comments (so if you take advantage of all the possible entries, you will need to leave me FOUR separate comments). A winner will be chosen using Random Number Generator on Monday May 21 at 6PM. Winner will be posted on blog and will have 72 hours to claim her prize. I will collect your information and your prize will be ordered and shipped directly to you via Jacqueline, our favorite Rodan + Fields consultant. For this one, winner must have a USA shipping address, please. And yet somehow manage to forget it every single morning! ...Stay tuned for a very fun giveaway tomorrow! 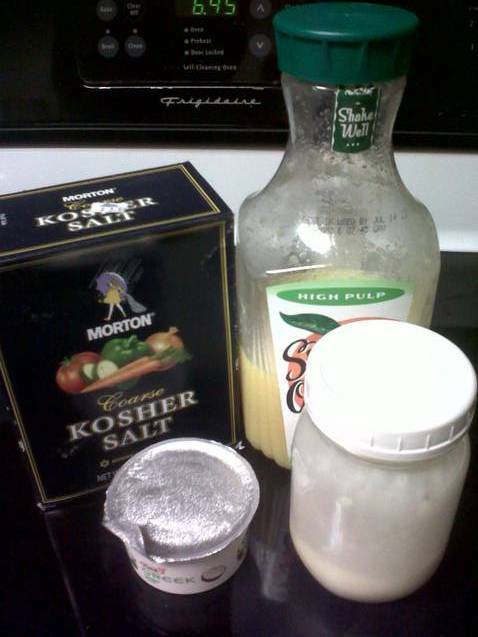 I make this very simple little dinner fairly frequently. Probably at least once a month. It's one of the many dishes I refer to as "not for company" because as Ina would say, it looks like a dog's breakfast. But I promise, there's nothing but yum about this dish. So tasty, so fast to throw together, so flexible to use up leftovers, so inexpensive, and so good the next day if you make enough for leftovers which of course I always do. So that was a long sentence! Anyhoo...this dish is even better if you are like me and do things like freeze cooked rice and cooked chicken and always have frozen veggies on hand. For kicks, I thought I might do something different. Show you the price breakdown of the dish. I don't like to admit that I rarely think about the total cost of anything I make. Which is good because I tend to use a lot of wicked expensive ingredients (like all of my GF flours). But sometimes it's good to figure these things out. It reminds me that not only is it often faster to cook at home, but it is nearly always less expensive. You should note that I have a ton of frozen veggies in my freezer that were free with coupons. But if you are not a couponer, you should certainly be able to get a big bag for $1. I buy eggs for $0.99/dozen or less. I probably over-estimate the cost of chicken but tried to keep it average for not couponers. 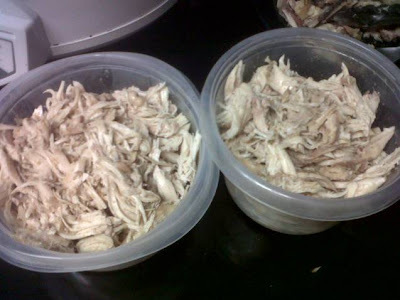 I use the grocery store rotisserie chickens, shred several and keep portions in the freezer. I would say this serves two to four. * In a bowl, whisk together eggs, milk and any seasoning you like. 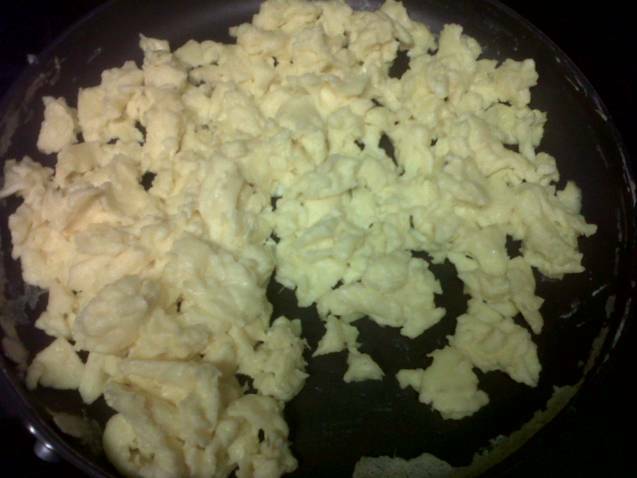 * In a non-stick pan, scramble eggs. 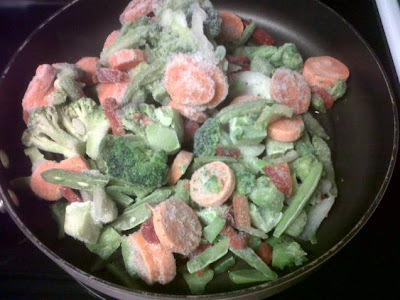 * In a large pan, add EVOO, frozen veggies (still frozen) and chicken. Once all is hot, add rice and season to taste using soy sauce (great time to use up the little packs that come from take-out orders), pepper and salt (sparingly- soy is salty). Add eggs and mix. So I have mentioned many times that I am a Bethenny fan. She is the only Real Housewife I will watch actually. I just relate to her in a strange way. And she is such a funny little spitfire. I dig her. Now admittedly, I forget to watch my favorite shows. Like all the time. I mean, I can wax poetic about how much I love a show and it's my favorite and then totally forget to watch it for three weeks straight. So know that going into this post I have missed a few episodes this (and every) season. But I feel sorry for her. I feel like Jason is sort of mean to her. But quietly. Don't get me wrong, I think he's a great guy. 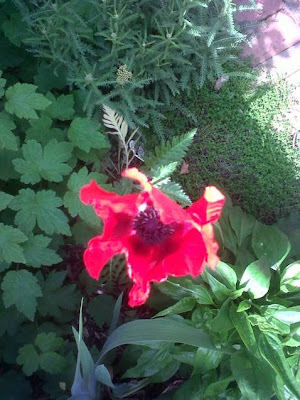 And is very pretty to look at. But he never ever seems to take responsibility for their relationship. It's always her fault because she had a messy childhood. And he throws that in her face. It's probably just me but it bugs me to no end when someone says they don't believe in talk therapy. That's a relationship-ender for me. I just don't believe that one can get through 50 years of marriage without some sort of rough spell and I want therapy to always be an option for assistance. I do still love their show. And admire how much work Bethenny puts into improving herself and her family relationships. Jason's halo though, is not nearly as sparkly as he thinks it is. 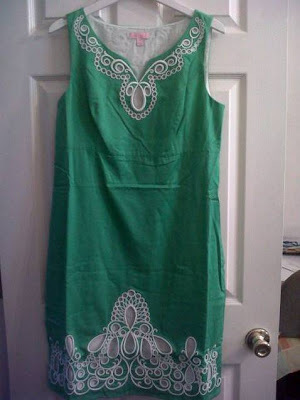 Back when my computer and Blogger were plotting against me, I purchased this pretty green Lilly Pulitzer dress from Ruelala. And so wanted to show you. 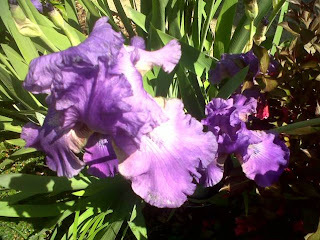 But of course I couldn't post photos on the blog. So to take a break from my depressing woe-fest, I thought I would finally show off this pretty. Ignore the terrible photo and the wrinkles. I think I am going to wear it to our Junior League end of the year dinner event next week and promise to iron before then. Also, if you are not signed up yet for Ruelala, now is a great time to do it. It requires nothing more than an email address and 60 seconds. But if you join right now, you get a $10 credit! 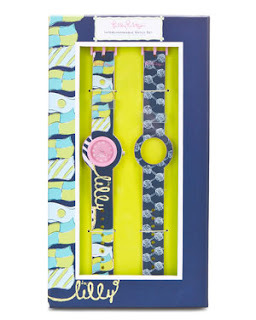 Vineyard Vines has a boutique starting tomorrow at 11AM. So does Crocs, but I am morally opposed to adults wearing Crocs. That's a personal issue though- ha.